He has lived in Myanmar for his business In Myanmar, he regularly had sexual contact with the street girl twice or three times a month during last 8 years. He had general weakness, intermittent fever, chill and headache 20 days ago. He was treated with anti-TB medication because of pulmonary tuberculosis. 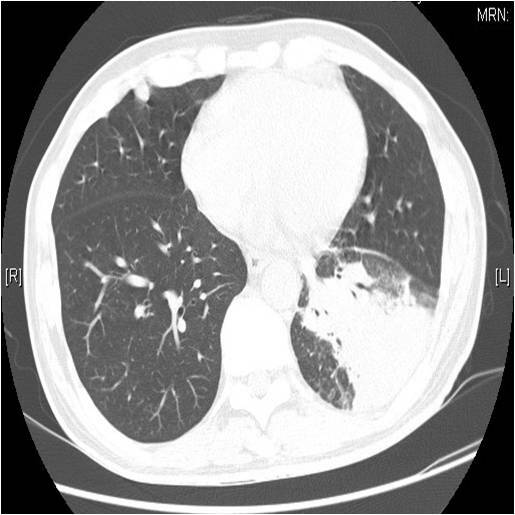 Chest X-ray showed consolidation in left lower lobe and multifocal nodules in both lungs. Chest CT scan showed segmental consolidation in left lower lobe and mediastinal hilar lymphadenopathy, and 1-2 cm sized several well- defined nodules in both lungs. He was diagnosed AIDS. CD4 count was less than 10/uL. Sputum culture and smear was done. 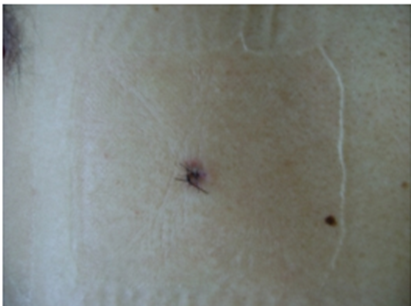 Biopsy of right leg was done from erythematous papules. What is your diagnosis in this patient with lung consolidation and skin papules?